A rash that develops after taking a probiotic supplement may be a sign of an allergic reaction. Because a rash is not a common side effect of taking probiotic supplements, you need to call your doctor and discontinue use of the product. Probiotic supplements may contain dairy proteins that could trigger an allergic reaction if you have a milk allergy. In rare cases, a rash may be a sign of anaphylaxis, a severe allergic reaction that could result in death. Before taking probiotic supplements, talk with your doctor because the supplement may interact with certain medications. Probiotics are healthy germs or bacteria that primarily live in the small intestines of mammals and humans, according to the American Cancer Society. While the Mayo Clinic states that probiotics are not essential for the human body, they may help treat diarrhea, vaginal yeast infections and irritable bowel syndrome. Probiotic supplements are not regulated by the federal government and have not been tested for effectiveness or potency. 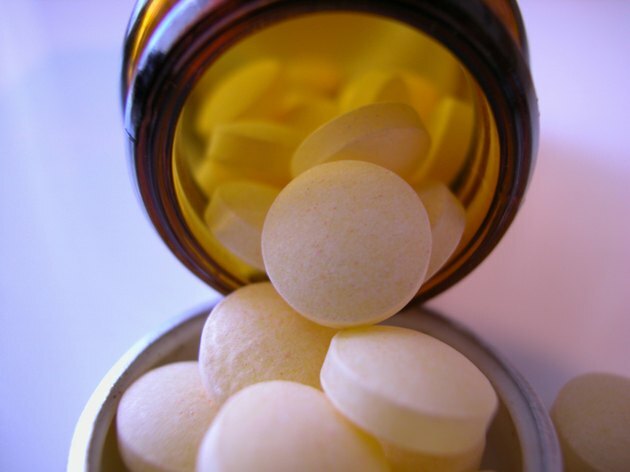 Skin rashes that develop after taking probiotic supplements are most likely the result of an allergic reaction. One or more of the ingredients found in the supplement are not recognized by the immune system. The body reacts to the supplement by attacking it with immunoglobulin E antibodies, which trigger histamine production, according to the American Academy of Allergy, Asthma and Immunology. Histamine causes blood vessels to dilate, increasing blood flow and triggering skin irritation and rashes. Common skin rashes that develop from an allergic reaction include general inflammation, eczema and hives. General inflammation may cause your skin to become swollen, red, patchy and itchy. Eczema is a rash that can develop from an allergic reaction that causes pimple-like bumps filled with a clear fluid. When scratched, the bumps can ooze and crust over. Hives are a common symptom of allergic reaction that causes welts to develop anywhere on the body. Hives form in different shapes and sizes and can come and go in a matter of minutes. Drugs.com recommends that if you develop facial swelling, lip swelling, tongue swelling or throat swelling, hives or shortness of breath, you should contact emergency medical personnel. You may be experiencing anaphylaxis, an allergic reaction that affects your entire body. If not treated, anaphylaxis can lead to death.